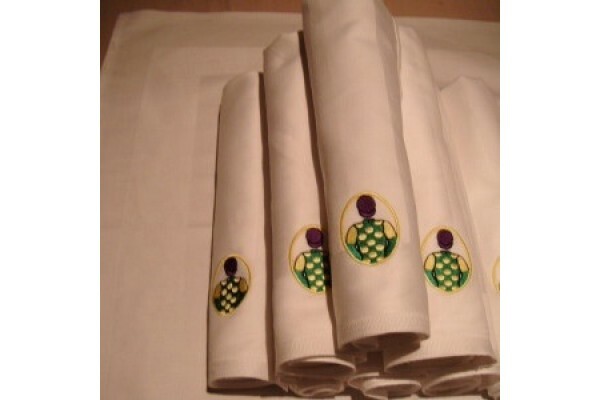 Classic, white linen napkins to grace any dining table, Royal Ascot picnic, grandstand box or kitchen supper. Hotel quality, these 22″ square napkins are easily laundered and come up looking fresh and crisp time after time. If you are entertaining at the racecourse we can arrange to send them direct so they are ready on the table in your box when you arrive with your guests. Sold in sets of 6 @ £90.00. Additional napkins can be added at £15.00 each.